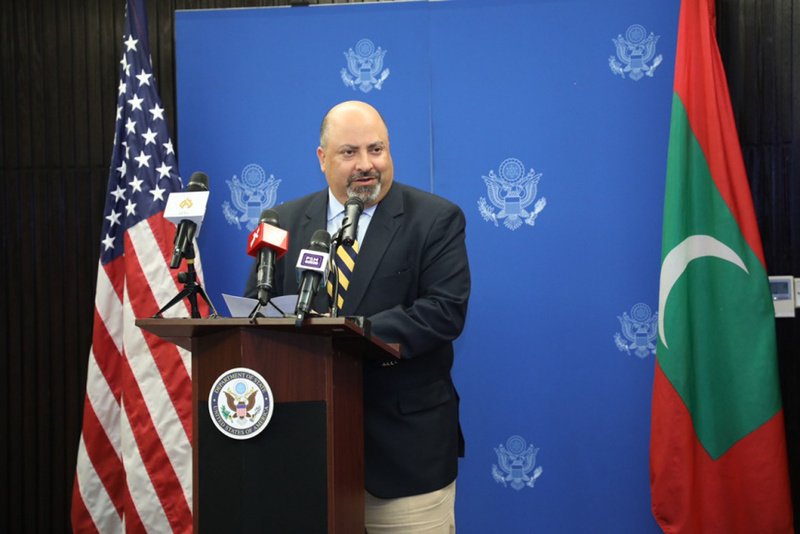 Maldives can reach a genuine democracy if both the Unites States and Maldives work together to make it possible, says the US ambassador to Maldives and Sri Lanka, Atul Keshap. Speaking at the Iftar hosted by the US Embassy at Hotel Jen last Tuesday, Keshap said the US shared the desire of the Maldivian people for a peaceful and democratic nation. He said the US wants Maldives to play a key role in ensuring peace and security in the Indian Ocean. “I want to see Maldives have a transparent and genuine democracy, and become a beacon for other Indian Ocean countries,” said Keshap. Keshap said the US was committed to working together with Maldives to strengthen the cooperation between the two countries. "We are committed to working with Maldivians to strengthen our connections, promote greater mutual understanding, and build a future in which our young people can take full advantage of every opportunity available to them,” said Keshap. State officials, opposition politicians and members of independent organizations were invited to the Iftar hosted by the US embassy.